Great projection and fat, wet sound, outstanding for field drums. Single-ply 10-mil Clear batter with a 7.5-mil Mylar® underlay dampening ring. 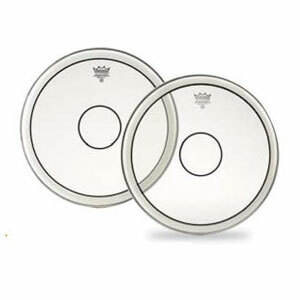 Center clear dot for durability and tone control. Ideal for that classic, warm, open snare sound.